14th of February is a beautiful day that we all want to celebrate with our loved ones. What could be better then saying I love you with a beautiful homemade breakfast! Here is 10 amazing Valentines day breakfast ideas for you! 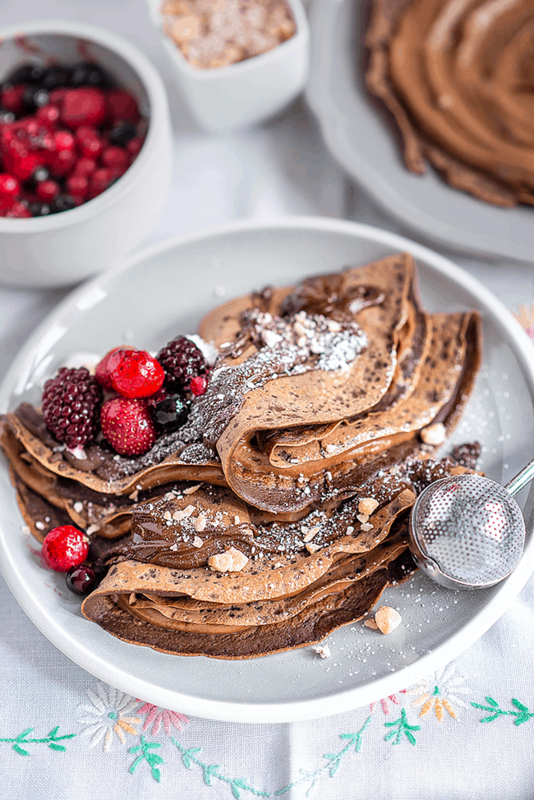 Chocolate crêpes with Nutella and mixed berries are perfect for an indulgent brunch or as a quick dessert. 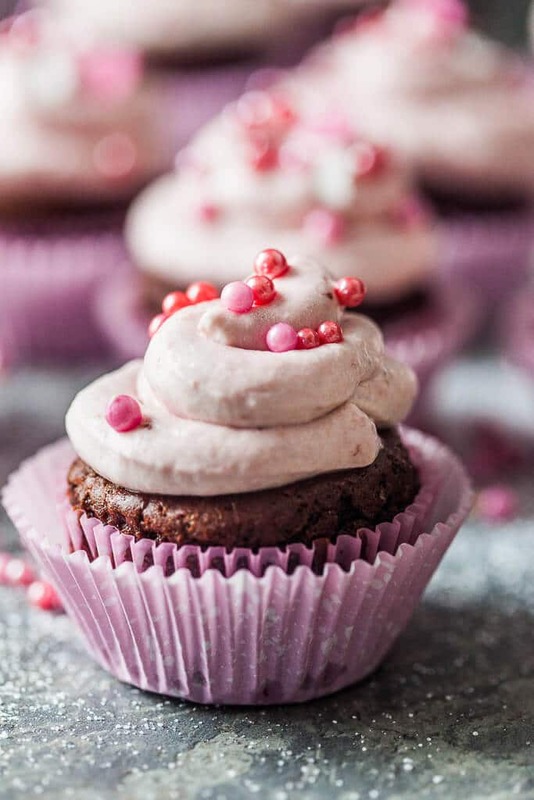 Surprise your loved one with these amazing Cacao Cupcakes with Strawberry Cream! 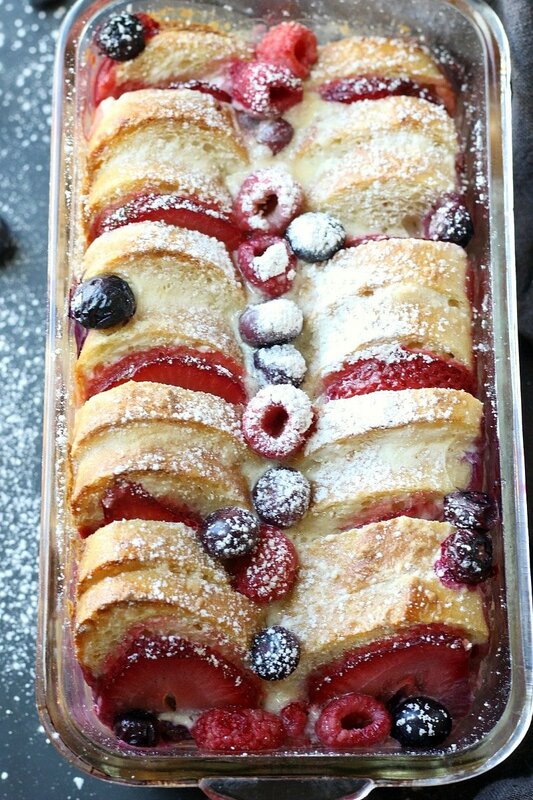 This Berries ’N Cream French Toast Casserole is the most SCRUMPTIOUS breakfast, perfect for a lazy Sunday or special gathering. This Breakfast Crème Brûlée is a lighter take on the classic dessert, and is a creamy, custardy solution to all your breakfast needs and wants. 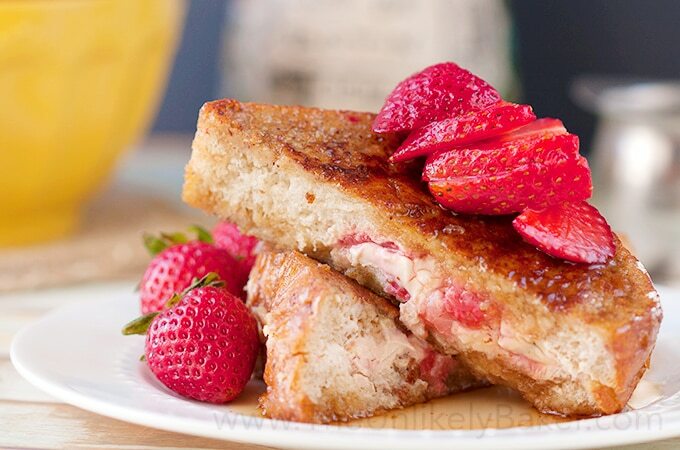 You’ve never really had French toast until you’ve had this strawberry cream cheese stuffed French toast! 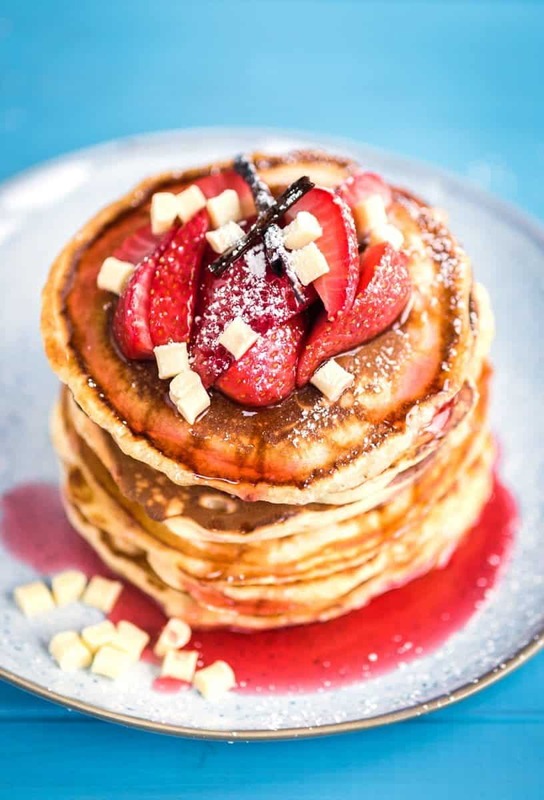 Fluffy white chocolate pancakes with roasted strawberries – a special indulgent treat for Valentines day! 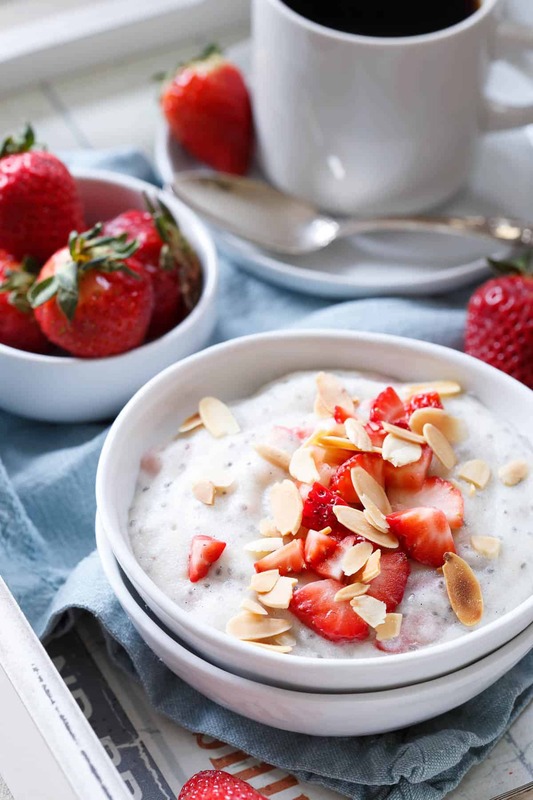 These protein packed polenta breakfast bowls are made with creamy coconut milk and filled with juicy ripe strawberries for a sweet start to the day. 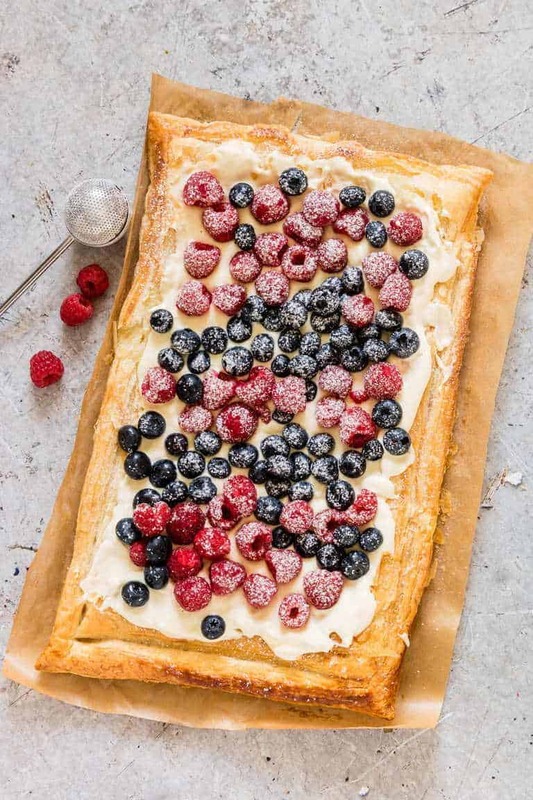 This Berries and Cream Cheese Puff Pastry Breakfast Tart makes for a delicious breakfast. Topped with sweetened cream cheese, colorful berries, and icing sugar. This Blood Orange Parfaits with Dark Chocolate Chips & Pomegranate Arils is a perfect breakfast for your true love. 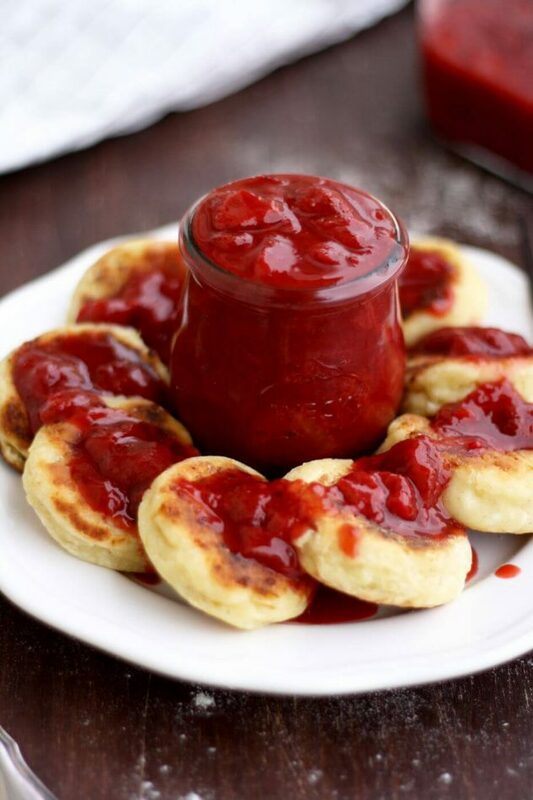 Hope you enjoyed this Valentines Day breakfast ideas, thank you! What a collection! Those crepes are calling me name! What a lovely selection of valentines recipes – I can’t wait to try a couple.